For those of you who have recently adopted a kitten or a cat, among the list of items to buy is a litter box and cat litter. Our Healthy Pet Care Specialists can assist you with choosing a litter that is the best option – one that does the best job in reducing the “litter box odour” in your home. There are many litter options for cats and we urge you not to pick the cheapest option, but look for the best option. Cheaper in many cases does not mean better – you need to choose a litter that works and that your cat likes. 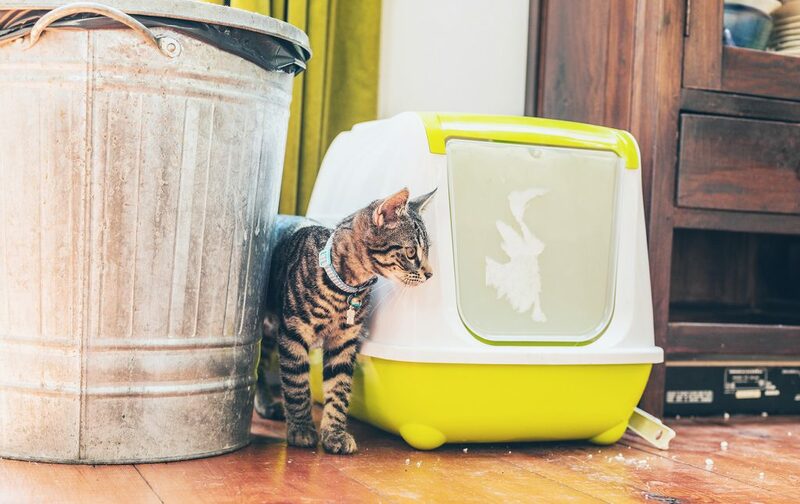 Quite frankly, your cat will be the one who will determine which litter will be used and if you have a finicky cat, you may have to try a couple of different options before you find the one! Cat litter comes in various textures and scents. 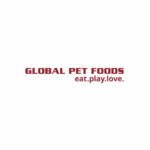 There are a number of different varieties of litter that are available on the market and you’ll find a good brand assortment at Global Pet Foods stores across Canada. Clay: When we opened our first store over 35 years ago, the only available litter was clay based. Clay litter is typically the cheapest type of litter available. There’s no question that cats like the texture of clay. It’s absorbent, they can dig in it, they can bury their droppings, and the clean-up is easy. Some people may not like using clay litter because they find some brands dusty and irritating. It produces a lot of waste, and clay does not decompose which means it’s not environmentally-friendly. Over the past number of years, companies have provided other litter options that are more environmentally healthy. You can purchase a premium clumping cat litter that is 100% natural, biological, organic and holistic, and is 100% chemical free. These companies have also found a way to ensure the litter stays odour free for a lot longer than the non-premium litters. Silica: Litter made up of silica crystals is a low-maintenance solution because the bag usually lasts one month (based on one cat using it). The silica pellets will absorb the urine and the pellets change color when they’ve absorbed all that they can and then turn yellow. This makes it easy to know when you have to change the litter. The heavy silica crystals will stay in the box although some cats don’t like the larger pieces or the texture, as it is harder for them to dig in. Natural and Biodegradable Litters – Pine, Corn, Wheat or Walnut: These litters are considered more natural than clay. They’re usually non-toxic, they decompose naturally ie. biodegradable, some are flushable (depends on your sewage system), they’re quite absorbent, and they provide great odour control, many better than clay litters. While the natural litters are generally more expensive than clay, they are worth their value since they tend to last much longer due to their absorbency. For those who are contemplating switching to an alternative litter, most cats will transition fairly easily to an alternative litter such as pine, corn or wheat. Newspaper based Litter: Recycled newsprint litter is a great eco-friendly litter. This type of litter is made up of pellets of recycled newspaper. The pellets are larger, so it won’t stick to your cat’s feet and end up all over the place. Newsprint litter works like sponges to absorb urine odors, and a scoop with larger holes will let you remove waste easily. Unfortunately, the size of the litter makes it a more difficult transition from clay, but if you take your time, your cat will likely adjust to it. When choosing a litter for a kitten, we recommend that you select a basic, unscented kind. Some kittens dislike scented litters and may refuse to use them. Easy to clean. Plastic is the most practical material, as it’s easy to clean. A simple design will also make clean-up easy and quick. Good fit. The box overall should provide ample room for your cat to find the right place to do her business and to cover the resulting wet spots and droppings with litter while the sides should be low enough for a small kitten or an older cat to climb in and out with ease. Hooded boxes. These can keep litter from ending up all over the place which is great if your cat’s an aggressive digger. Not all cats like being enclosed, but some seem to like the privacy a covered box gives them. NOTE: If you’re thinking about transitioning to a different litter, ie. one that’s more eco-friendly, you may have to make the transition slowly. Start with the old litter mixed with some of the new litter. Gradually increase the amount of the new litter over the next couple of weeks until you’re only using the new litter. Be aware of the times your kitten is likely to need to use the box. These include upon waking up, after eating, and whenever you see your cat sniffing around or squatting. At these times, gently pick her up and carry her to the litter box to demonstrate the proper place to go. Scoop the litter daily. You don’t want to give your cat any reason not to use the litter box, because she will find somewhere else to go. The litter box should be cleaned at least twice weekly. Discard the old litter and replace with about 1 Ѕ” of fresh litter. We also recommend that you wash the litter box thoroughly with hot water & soap at least once each month. Cats like to do their business in a place that provides privacy. Select a spot that’s out of the flow of household traffic. The litter box should also be placed away from your cat’s food and water dishes, and from where your cat sleeps. Once you find the ideal spot, stick with it. Moving the litter box from place to place might confuse your kitten and cause a setback in your training efforts. And finally, if your cat is avoiding the litter box or you find that they’re urinating outside of the litter box, this can be a sign that your cat is stressed (for example, there’s a new cat in the house, too many cats in the house, recent vacation, etc.) or that there’s a physical problem such as a bladder infection or something more serious, i.e. FUS (feline urological syndrome). If this happens for more than a few days, we recommend that you schedule an appointment with a licensed veterinarian to rule out any medical concerns. NEXT ARTICLE → Say Cheese!